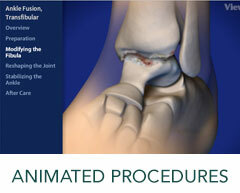 Kyphoplasty - Princeton Orthopaedic Associates, P.A. Kyphoplasty is a minimally invasive procedure used to correct vertebral compression fractures within the spine. Compression fractures may develop as a result of osteoporosis, spinal tumors or a traumatic injury, and may be treated with rest, pain medication and braces for mild fractures. However, these conditions often cause severe pain and limited motion, leaving patients unable to function properly in their everyday lives. This procedure is most effective for patients with osteoporosis or metastatic tumors, and is usually performed after traditional treatments have been unsuccessful for four to six weeks. During the kyphoplasty procedure, a device called a balloon tamp is inserted into the affected area and inflated to relieve compression and restore the vertebra to its normal height. The area is then filled with an injected bone cement in order to keep the bone in place and prevent compression from occurring again. This procedure is considered safe for most patients, but is associated with certain risks, including infection, bone cement leakage and nerve damage. Most patients report a significant reduction in pain after the kyphoplasty procedure. To learn more about our Kyphoplasty Services, please contact us today to schedule an appointment!